It’s safe to say audience interaction isn’t what it used to be. 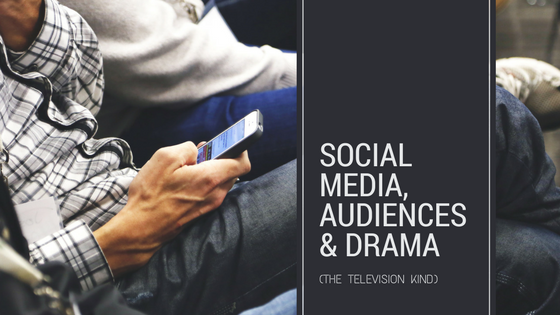 Compared to even just 10 years ago, the way we shout about the entertainment we consume – whether it’s theatre, television, books, or films – has changed drastically. That, unsurprisingly, is more or less entirely down to social media. Back in the day, an audience would sit quietly through a performance, and clap raucously at the end if they enjoyed it. Maybe they’d even shout ‘bravo’ or ‘encore’. They might pass along a good read to their friend, or discuss a new crime drama over the water cooler. Now, the minute the ending credits are rolling – and even before, ‘live tweeting’ along with their favourite show – people take to social media to air their opinions. Like they say, everyone’s a critic. Is this change for the better or worse? Like most things in life, it has its pros and cons, and opinions on the opinions tend to be divided. Some writers – maybe rightfully so – fear the kneejerk nature of social media, and the unlimited access to criticism that might otherwise be hampered by old-fashioned things like face-to-face etiquette. On top of that, writers often have to contend with the press, cherry-picking what might be a minority of negative posts to create sensational headlines. Putting it like that, who on earth would want to get involved online? But still, as some would point out, criticism will find its way to you one way or another. On the other side of the fence, are writers who classify it all as valuable, relevant feedback. Twitter can show them in the moment which sections of their show were reacted to with shock, which with unadulterated joy, which with indulgent disgust. Whereas before, writers may have received fanmail in the form of actual letters, and possibly emails, now their audience can interact with them, their content, and other fans in an immediate and simple way. Though some of the unfiltered criticism can be rough, if creators can look past that, the social media sphere is an incredibly powerful tool at their disposal. Never before has interacting with fans been so easy, and its in this interaction that a show, film or book can gain incredible traction, all for free besides a little time spent online. Simply, the more people talking about the content, good or bad, the higher it climbs in ‘Top Trends’ or on other people’s timelines, garnering even more attention and new fans. The more the creator of said content interacts with those talking about it, the better their reputation, the more they’re talked about … you get my point. Audiences love to be involved, and if you let them be, the more they love you too. Twitch — what began as an online streaming service for gamers – is possibly the internet king of live interaction. In 2014, a livestream of an early Pokemon game was entirely controlled by commands inputted into the chat function of the stream. After a few days, the stream went viral, and after 16 full days of in-game chaos, the game was completed. Twitch estimated that over 1.16 million people from across the globe had participated. Now, Twitch is thinking forward, to “viewer-influenced drama” – allowing audiences to make the decisions where the plot could fork. They could potentially even kill off characters if that’s what they wanted. Though there would be a lot of technicalities to work out using this format, one can only imagine what kind of reaction this would get among viewers online. It’s only with social media that such a thought is even possible. With the rate the technology is developing, it’s almost impossible to predict what else might be available to audiences in the coming years. There will always be people moaning somewhere online, but frankly, the positives far outweigh the negatives when it comes to audience interaction through social media. It’s direct, productive, and convenient, and whether it’s agreeable or not, it’s the future of the audience voice. Best listen up! For more discussion on this topic, check out Radio 4’s ‘Thinking Outside the Boxset’ for commentary on how technology is shaping how we consume entertainment.